French toast has always been a breakfast treat that I’ve enjoyed, but it often gets forgotten about in our house. Unfairly tossed aside in favor of pancakes, waffles, or muffins. I decided to whip up a little something different. Half French toast, half muffin. 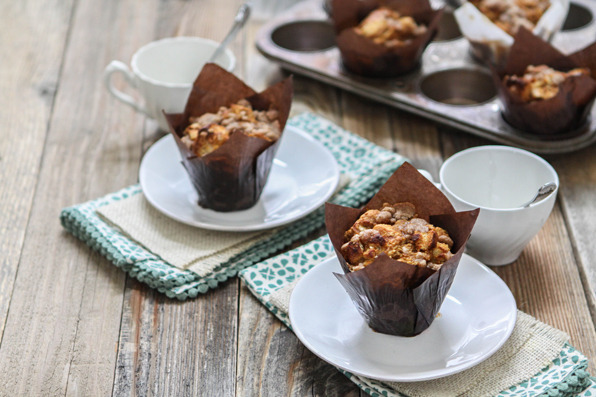 Please meet Caramel Pecan Pumpkin French Toast Muffin Cups. 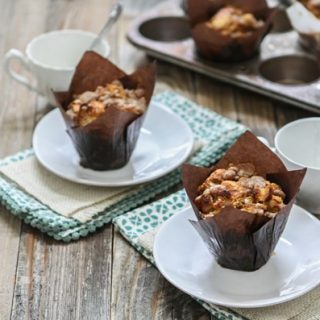 These Caramel Pecan Pumpkin French Toast Muffin Cups (that’s a mouthful, but how else do you describe this sweet treat?) are the perfect addition to any holiday breakfast or brunch. I chose soft, sweet KING’S HAWAIIAN® Dinner Rolls made a perfect base for this recipe. Cut into cubes and combined with a pumpkin-y egg mixture and baked in a jumbo muffin cup. I left a caramel pecan surprise at the bottom and sprinkled streusal on top just before baking. 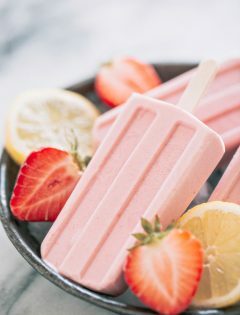 This truly is a breakfast treat! If you don’t want the extra steps of preparing the caramel pecan bottom or the streusel top, you can omit one of the two and still have a delicious Pumpkin French Toast Muffin, but I wouldn’t skip both. I think they’re best eaten fresh out of the oven, but you can save time on a busy holiday morning by preparing the egg mixture, cubing the rolls, and making the streusal the night before. Just store each part individually in an appropriate container in your refrigerator. Have extra rolls from a holiday meal? No problem. 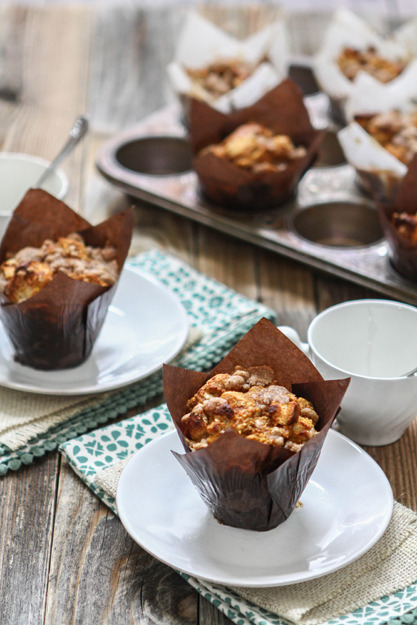 These Pumpkin French Toast Muffin Cups are perfect for using up your leftover rolls. Pair these French Toast Muffin Cups with something savory for the best results at your breakfast or brunch. Here are a few savory recipe ideas for inspiration. Melt together the brown sugar, butter, and molasses for the caramel layer. Set aside. To make the streusel, combine the brown sugar, flour, pumpkin pie spice, and salt. Cut the butter into the sugar mixture using 2 knives, a pastry blender, or by pulsing a few times in a food processor. Set aside. Place the cubed rolls in a large bowl. In a medium bowl, whisk together the eggs, maple syrup, milk, pumpkin, vanilla, and pumpkin pie spice. Pour the egg mixture over the cubed rolls and gently stir to coat. Line 8 - 10 jumbo muffin cups with muffin liners. 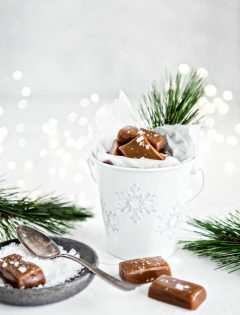 Place about 1 - 1/2 tablespoons of caramel and 1 tablespoon of pecans at the bottom of each. Then, divide the bread mixture evenly between the cups. I used about 2 heaping large cookie scoops full for each muffin cup. Then, sprinkle the tops with streusel. Bake at 350 degrees F for 20 - 30 minutes, or until cooked through. Serve immediately. These are so creative! 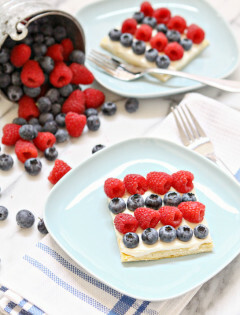 A yummy twist on an ordinary breakfast casserole. Can’t wait to try!